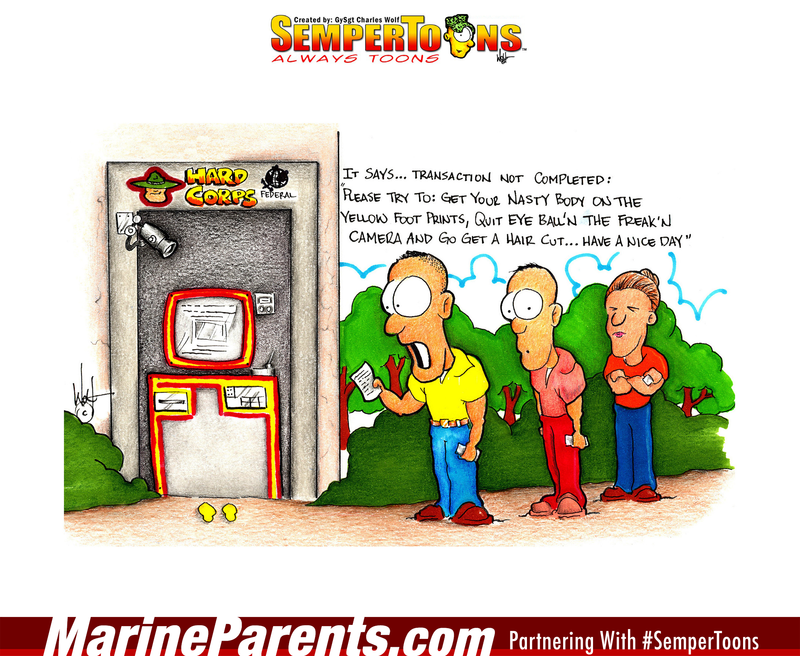 Gunny Wolf from SemperToons has created this cartoon that features three Marines in civilian clothing waiting in line at a Marine Corps-style ATM. Words read by the first Marine in line state, "It says...Transaction not completed: Please try to get your nasty body on the yellow foot prints, quit eyeballin' the freak'n camera, and go get a hair cut...Have a nice day." Shop Hard Corps ATM SemperToons at the EGA Shop.